NOW: I am thinking that on Tuesdays I will (try) to refrain from writing about the twins and focus more on exercise and eating and weight loss. 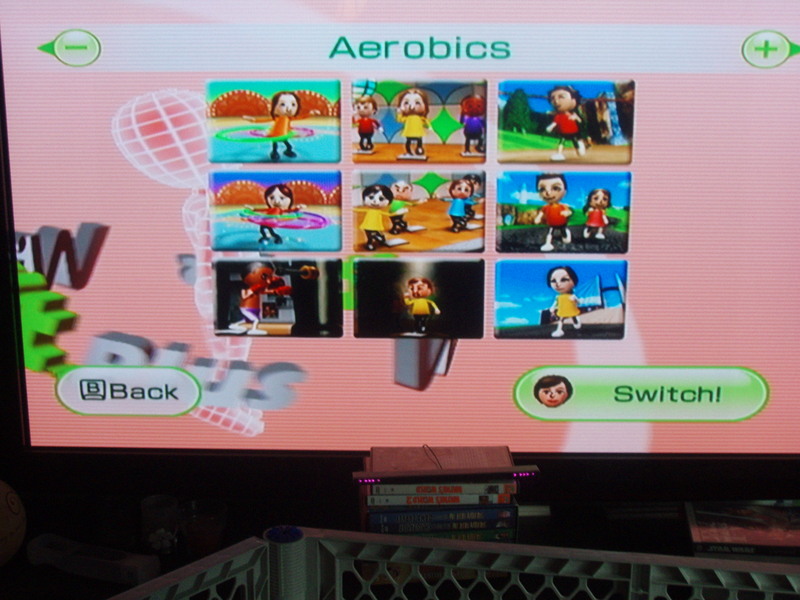 I wanted to begin by writing about my Wii Fit. I’ve found that it’s the BEST thing to help ME lose weight. And Tim loves it too! The best thing about it is the variety of exercise so you don’t feel like you’re always doing the same ol’ thing. 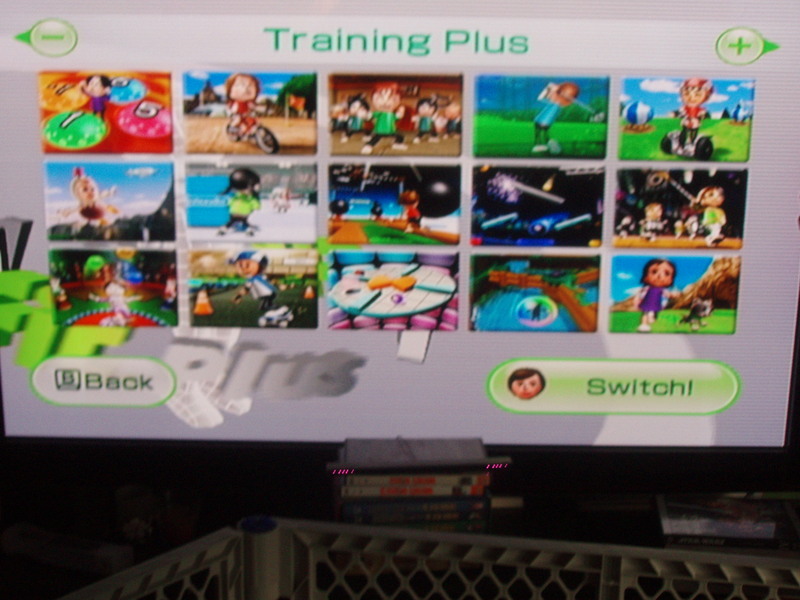 The most recent version is the Wii Fit Plus. It’s like having a personal trainer in my living room. Now, granted, the personal trainer is a computer man (or woman, in Tim’s case), but he’s a lot less expensive than a real-live personal trainer in my living room. So, it’s a trade-off. 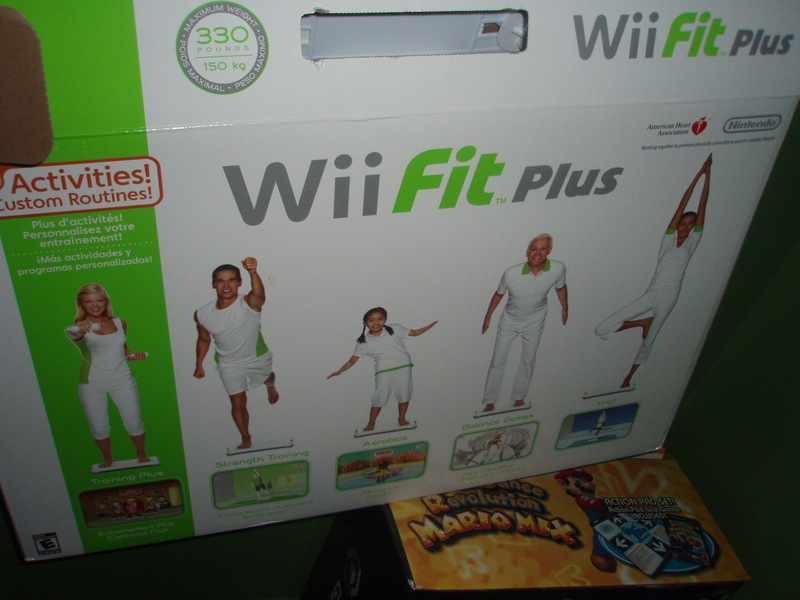 It came with the game (workouts), and the Wii Fit board. I also use the extra step option that’s available separately. 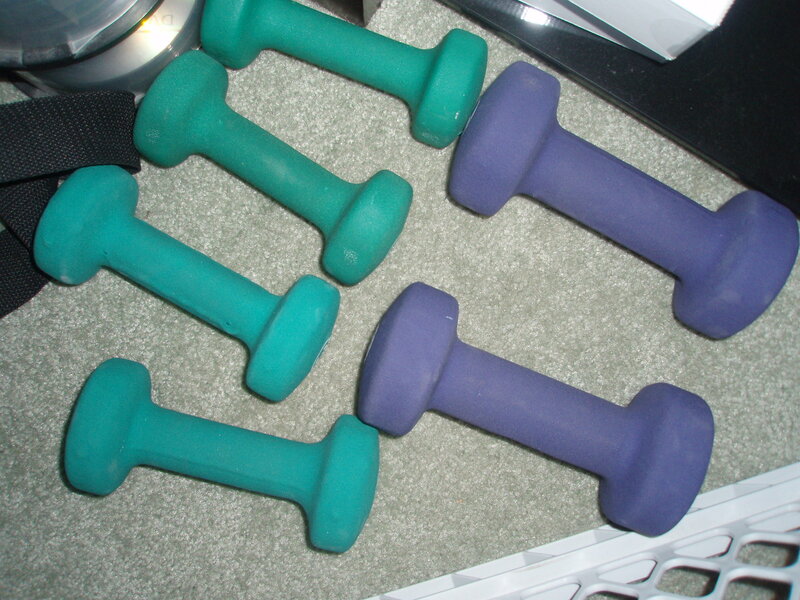 We incorporate free weights sometimes too (like when we step, or do tricep curls). There’s a calendar and graphs to track your progress, which I love! I don’t have the time to write down every minute I exercised. 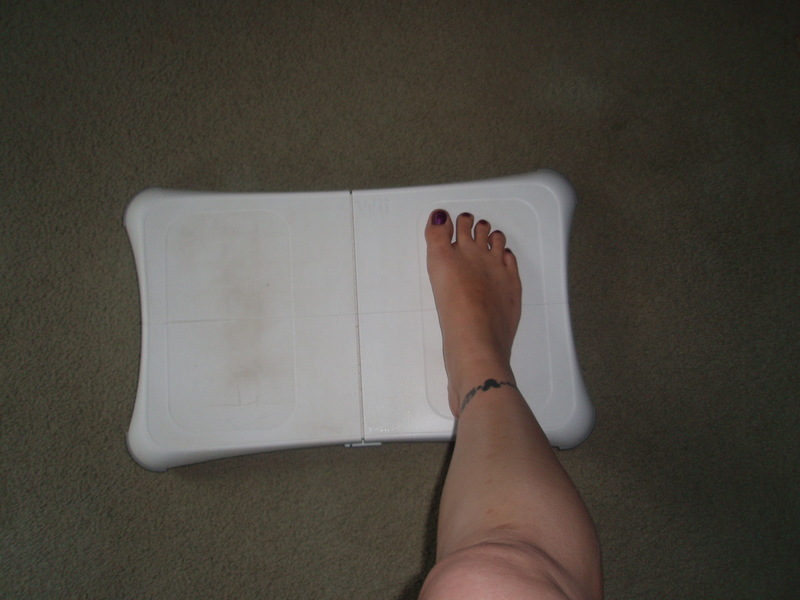 It also suggests weighing yourself every day (body test), and also tests your right/left balance. I know a lot of people don’t recommend this, but I really enjoy it. It gives me a better idea of what affects my weight and it’s encouraging even if I only lose 0.2 lbs. or something. If I gain weight, it usually says to just keep on track and that it takes time to lose weight. If I gain a significant amount of weight, it asks me to choose a reason (overeating, snacking, night snacking, not exercising, etc.) It holds me accountable and really makes me think about what I need to be doing differently. Here’s my calendar shot from today. The stamps (stars) mean you weighed in/worked out that day. I’ve been taking advantage of the nice weather lately so there’s not too many stamps. Which is one reason I think I’m not losing as much weight right now…..I haven’t been weighing in and holding myself accountable. There is also a screen where you can add in any “outside” exercise you did, but I often forget to add it in. 😦 The little red flag marks the date that I set to reach my goal. Every time you hit that date you reset your weight loss goal. It can be as little or as much as you want, in as much time as you need. The program measures BMI and weight, and suggests getting closer to a BMI in the “normal” range, rather than overweight (me)/obese (Tim). Here’s a graph shot of my weight since last October. You can see that last October I started exercising again, but then kinda “fell off the wagon” for a couple months. We started up again in January, and although there are some spikes, overall it’s been down. I like being able to look at the ‘big picture’. Even if I do gain a little from day to day, I can look at this view and see that my hard work really is paying off. I really am losing weight overall. And that’s important to keep my motivation up! Tim and I do mostly aerobics (goal: 30 min/day) to get our heart rate up, and then we do strength and yoga as well (15 – 20 mins). 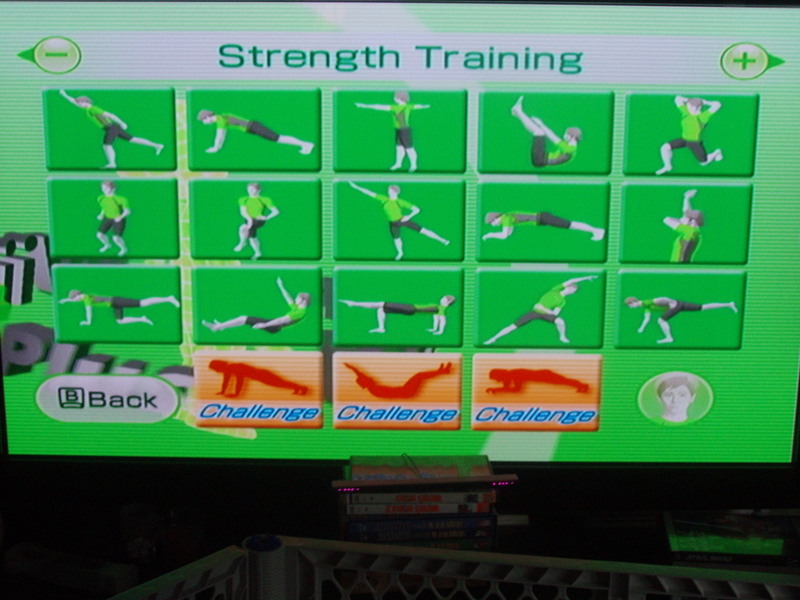 Wii Fit really helps me keep the different types of exercing balanced…..otherwise I would probably forget about strength and yoga even though I know they are important. 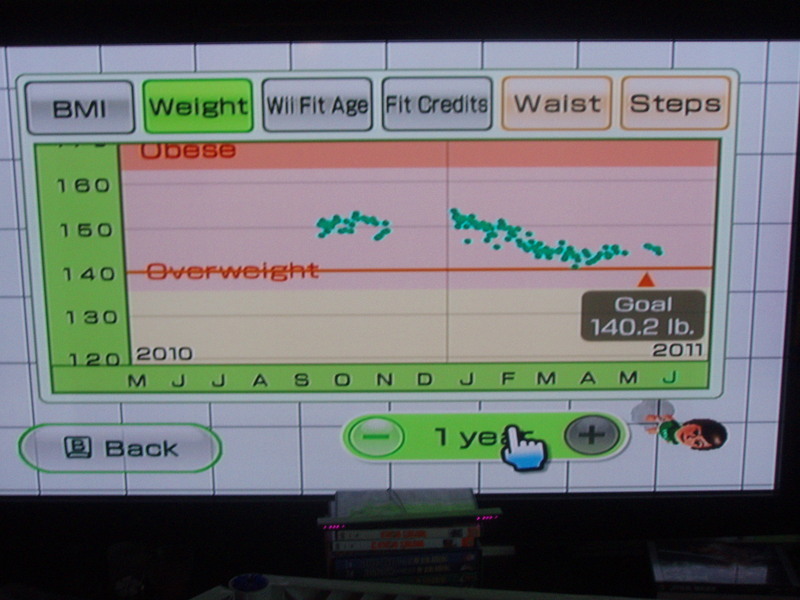 The other new feature that I like it the My Wii Fit. You pick target areas for the day (such as back, legs, tummy), how many exercises you want to do in that area, and then the computer picks a routine for you based on your choices. This helps me keep on track with time, too. 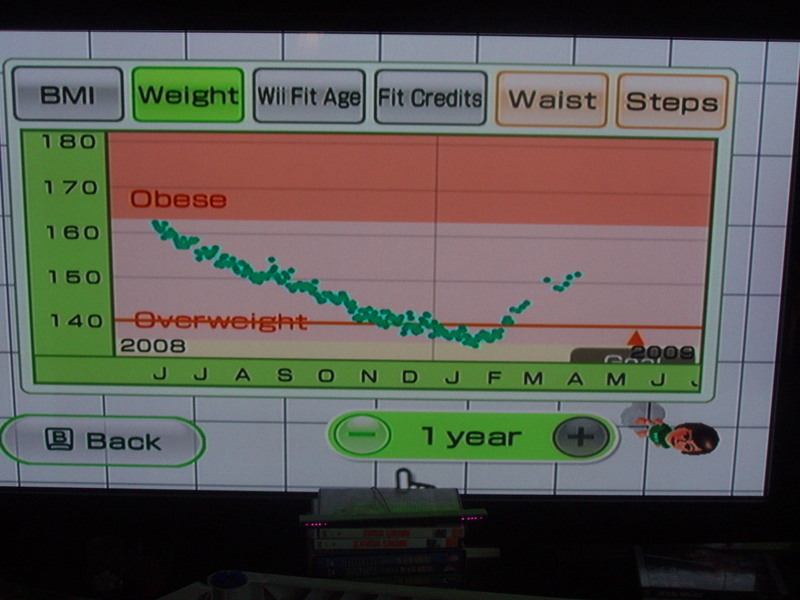 THEN: I bought the Wii Fit in summer 2008. I needed something to get me on track to lose weight. I had bought a treadmill when I first started wanting to lose weight, but its usage was spotty at best. Anyway, after almost a year of trying to get pregnant, I thought maybe some weight-loss would help. 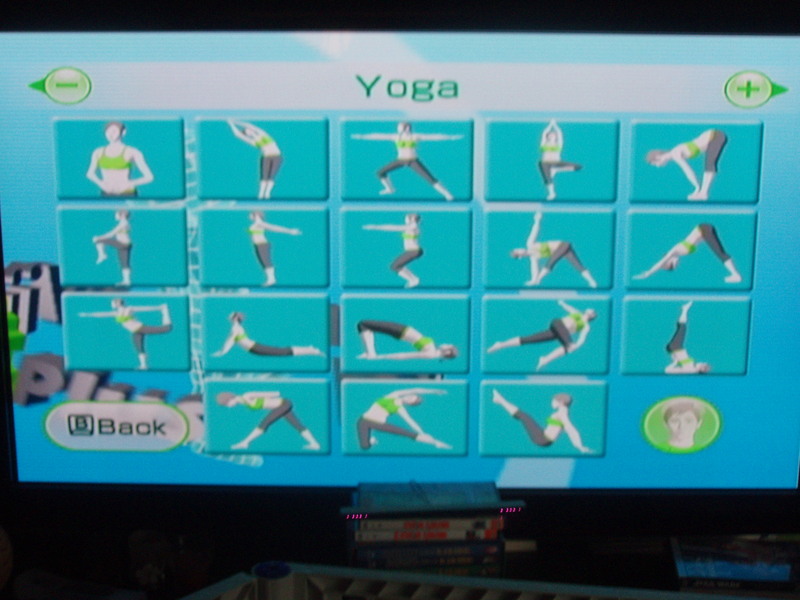 I had heard about the Wii Fit and we already had a Wii. 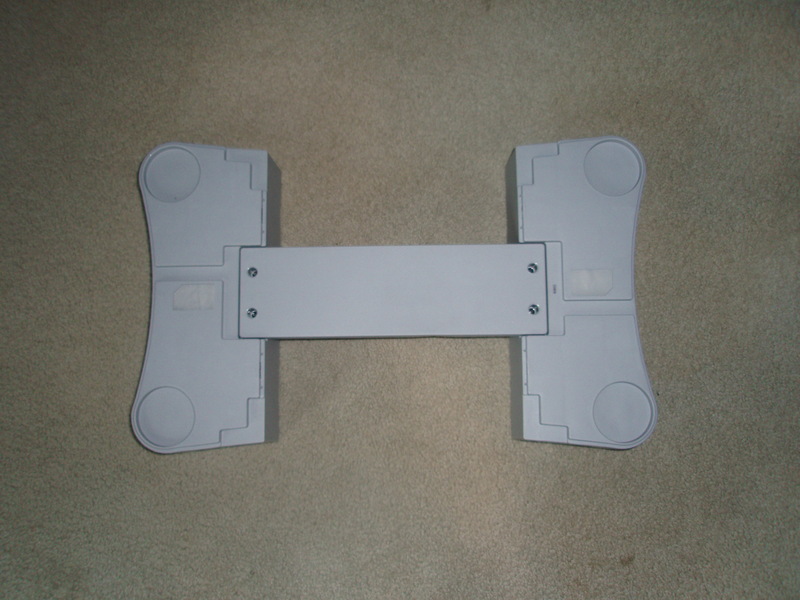 At the time, the Wii Fits were hard to get. So I started stalking stores. Found out that Circuit City was going to have like 6 of them on a Sunday morning. Got there about an hour before opening, was the fourth person in line. YAY! I felt like I won something. 🙂 I set it up and started using it right away. It was just as I had thought, I absolutely loved it. Here’s an overview and some sample exercises. Yoga: These are poses such as Downward Dog, Tree Pose, Cobra….you use the balance board to try and keep yourself centered and balanced as you hold the pose. You get a “score” and a “ranking” after each (that’s Tim’s favorite part, he’s more competitive than me). This way every time you do the pose you can try to get better (or you can try to beat your spouse’s score). Stength Training includes exercises like jack knives (crunches), plank, push-ups, tricep extentions and lunges. These also give you a score and rank after each time you do it. Most of them also have the option of selecting more (or less) repetitions. The “Challenge” options for push ups, jack knives, and plank let you challenge your trainer and do as many reps as YOU can. Great way to push yourself to get stronger. Hula Hooping, running, boxing, and step aerobics are some of the activities in the Aerobics section. 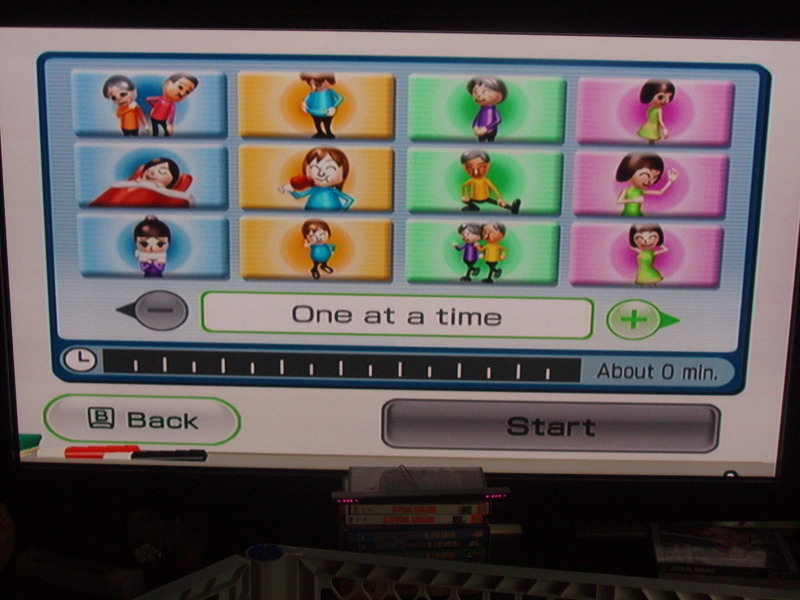 I like the Free Run and Free Step – once you start it you can turn the channel and watch TV while the Wii Remote keeps track of how fast you’re going and tells you when you’re done. This option is great for when I’m unmotivated because then at least I can watch a show and it seems like less work. The Aerobics are also scored and ranked. Here’s my graph from when I first got it……it goes down, down, down. 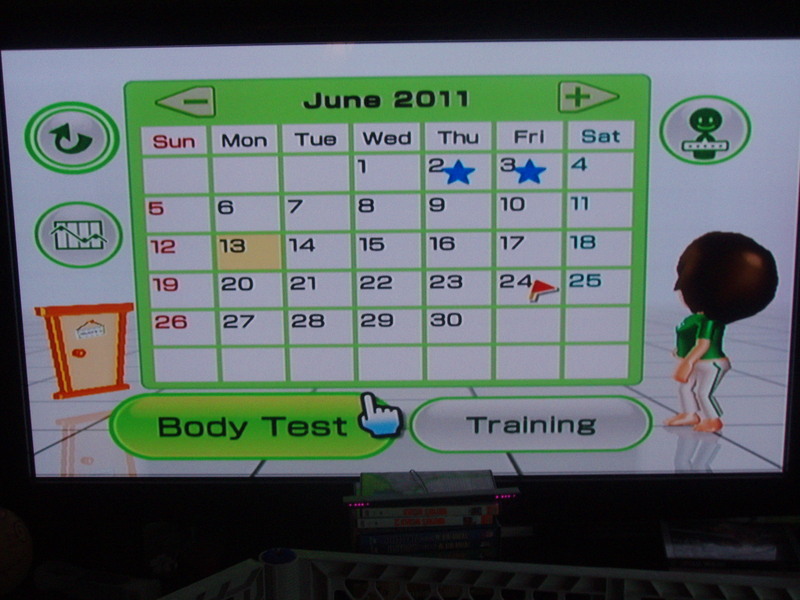 I was ONLY doing Wii Fit for exercise, and trying to eat better, smaller portions. The point where it starts going up again is where I got pregnant and was still weighing myself occasionally. Look! I was “normal”……..for weight anyway! That was then. Question: What do you do to lose weight/exercise? I’m always looking for new ideas! Bears, Burritos, Bruschetta, oh my!